The sweeping curved doors help this kitchen layout flow, and the cross ribbed grain of Rift Oak adds remarkable texture to the surface. Premier offers a full range of colours and sizes, please contact us for full details. 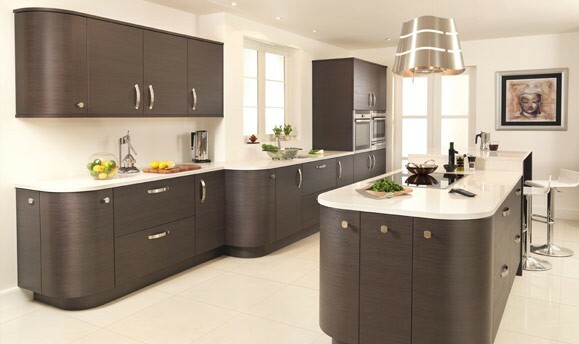 We can provide all of your kitchen needs, from a supply only kitchen to a fully fitted kitchen, installed by professional tradesmen. We withhold the right to withdraw our kitchen sales and offers at anytime without prior notice.